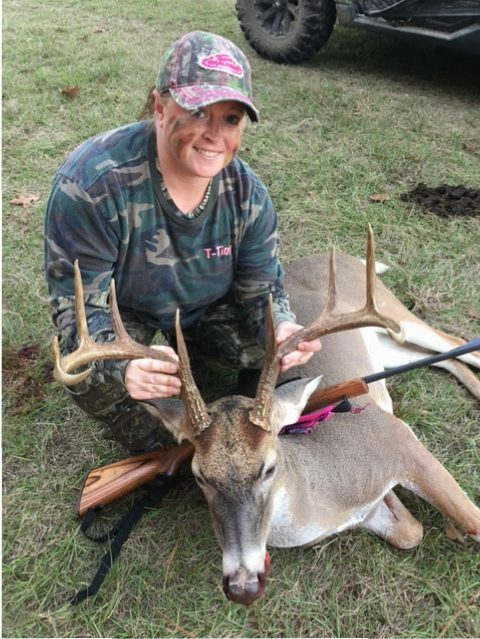 Kristen Klovenski with her buck, Big Boy, which she’d been watching via game cameras before getting a shot at him in November 2016 in Grimes County, Texas. If you’re looking for a hunting story that waxes poetic about a glut of carefully managed trophy bucks pursued by even more careful hunters, then you’re going to have to look elsewhere. This tale takes place in gritty Grimes County, Texas, a nondescript area in the eastern part of the state where giant bucks are few and far between. Most residents are regular, hard-working folks who will proudly tell visitors that actor Chuck Norris owns a ranch in the county.